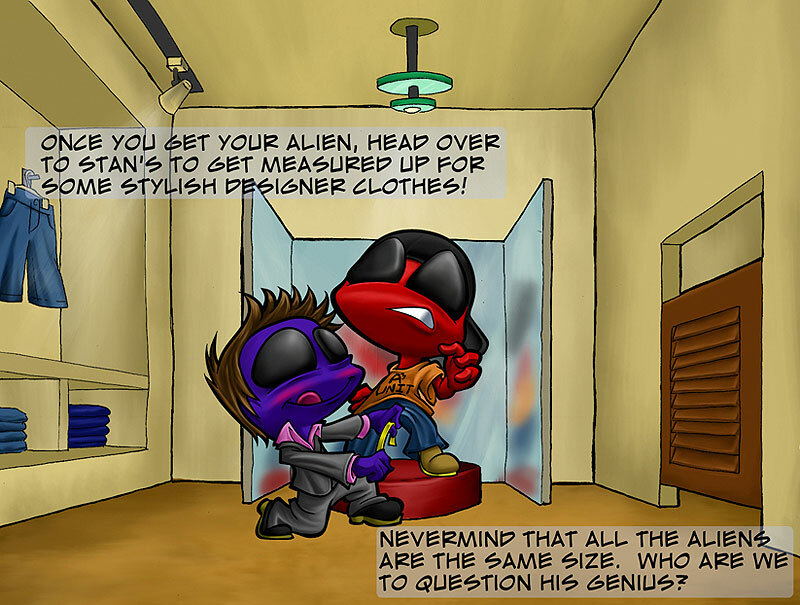 Once you get your alien, head over to Stan's to get measured up for some stylish designer clothes! Nevermind that all the aliens are the same size. Who are we to question his genius? What better way to start your alien off on the road to success than by sending them to school. The local university offers a healthy variety of both boring and impractical classes. And believe it or not, the fun doesn't end here! Mining is just one of the many glamorous vocations your alien can master. Periodic cave-ins, poisonous cave dust and endless wandering in desolate blackness are just some of the occupational perks. Oh. 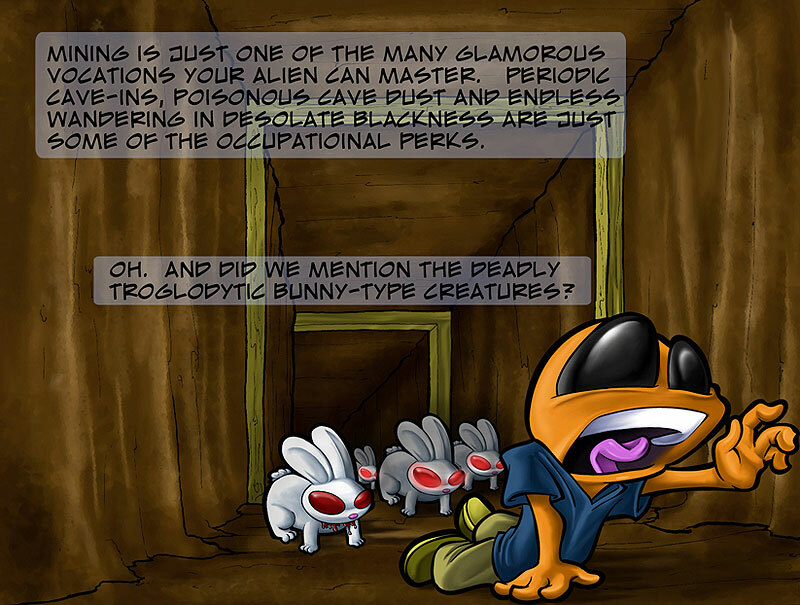 And did we mention the deadly troglodytic bunny-type creatures? The lush verdure of the city gardens downtown provides the premium location to go foraging. Or, if you don't happen to be dating another alien, its a great place to pick herbs. Aliens in spaceships. Makes sense right? 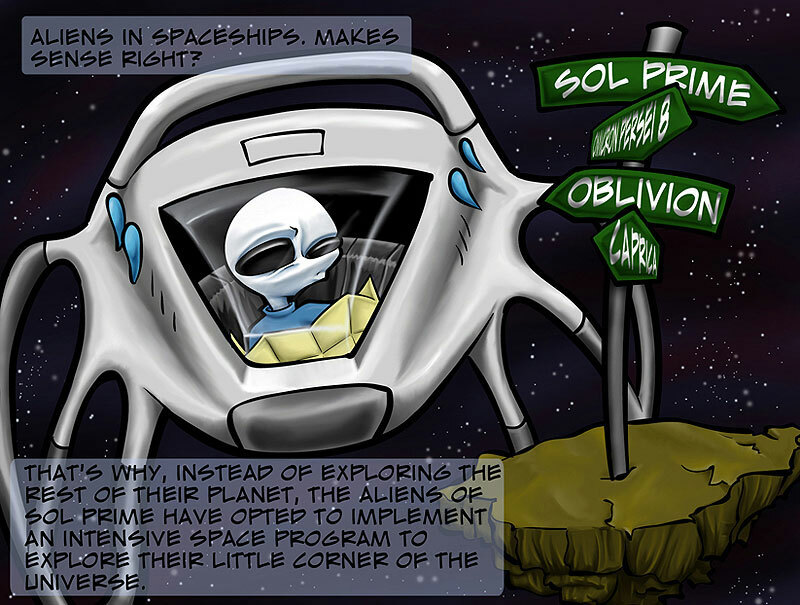 That's why, instead of exploring the rest of their planet, the aliens of Sol Prime have opted to implement an intensive space program to explore their little corner of the universe. 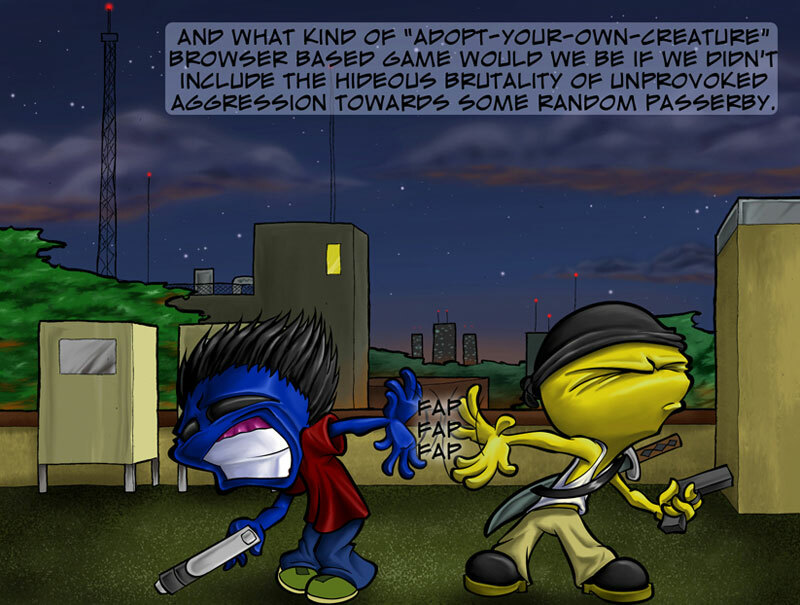 And what kind of "adopt-your-own-creature" browser based game would we be if we didn't include the hideous brutality of unprovoked aggression towards some random passerby.